--------- let me ask you this, how many people do you know that do not have a home or cell phone? That is exactly my point because just about everyone have a phone. What if I can show you how you can capitalize on those phone, keeping their same number and same carrier. One of our hot item is the video home phone, that you can call any phone in the entire United State and Canada also another feature with this phone, you can take it any where in the world and call back any phone in the United States and Canada with high speed internet access from the phone you are calling from for the same monthly bill, presently $31.99 All of the major carrier have team up with us therefore we are doing something good. Thats stand out with our creditability. This opportunity will guide you through the steps on how you can become very successful by following the steps in the program. You can make residual income from these programs in your area on three continents and growing. 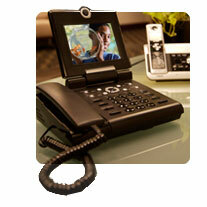 We presently carries home phone local and long distance, cell phone services, video home phone and direct television. Please watch the presentation and get on board.